Do you want a great snapshot of how to achieve a healthy lifestyle? Robin’s book can get you there in 5 simple steps! It’s a great way to start improving your habits immediately without feeling overwhelmed by too much information.This book will teach you about real food, easy-to-incorporate exercise, reducing the toxins in your home, reconnecting with your family, and recharging your tired spirit. 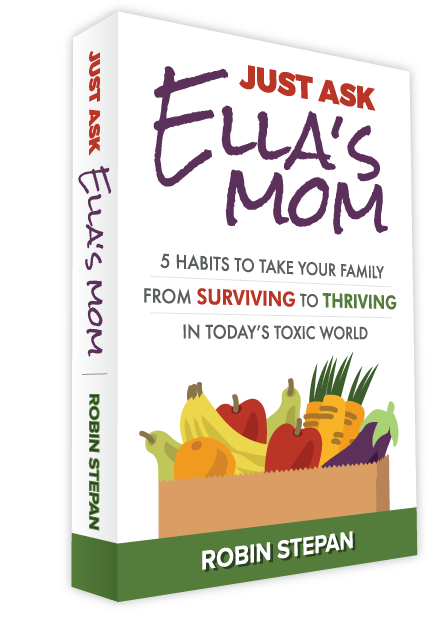 Get all the information you need to makeover your lifestyle and watch your family go from surviving to thriving!